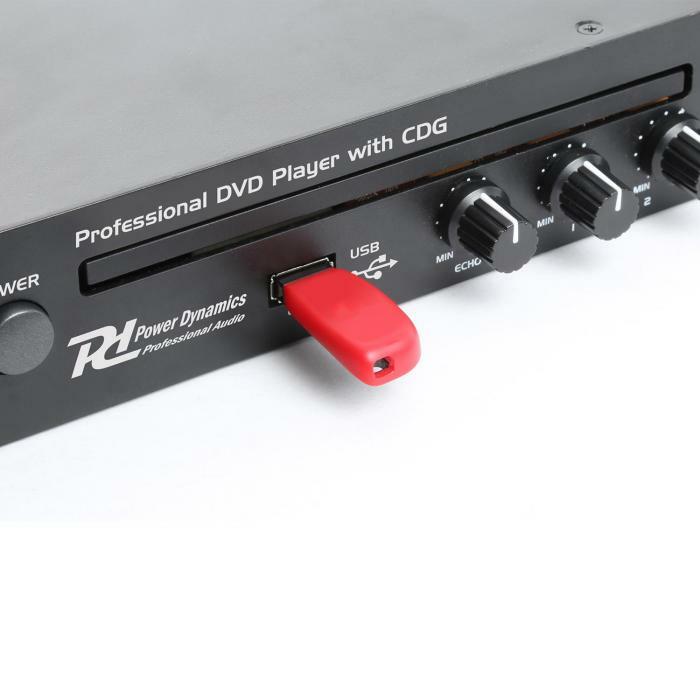 The Power Dynamics PDC150 19" is a format- and connection-compatible CD/DVD player, which is suitable for rack mounting because of its 19" dimensions (1 HU). The two front-end microphone inputs with adjustable echo effect as well as the CD+G support is why the PDC150 is suitable for karaoke applications. 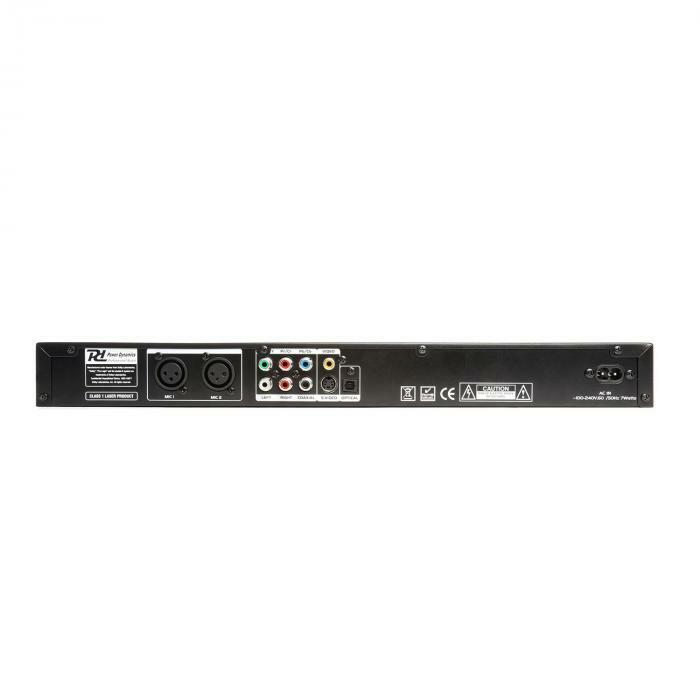 Analog and digital audio outputs allow easy connection to video screens and amplifiers. All settings can be set via the fixture and OSD menu on the device. 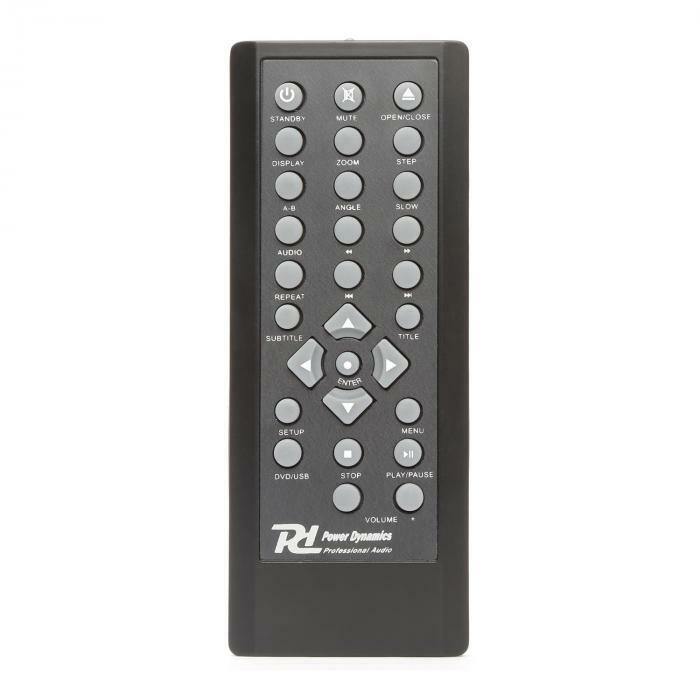 The Power Dynamics PDC150 media player comes with a full-featured infrared remote control for comportable operation of the device.